Computing the Sky at Extreme Scales equips cosmologists with the ability to design foundational simulations to create “virtual universes” on demand at the extreme fidelities demanded by future multi-wavelength sky surveys. The new discoveries that will emerge from the combination of sky surveys and advanced simulation provided by the ECP will shed more light on three key ingredients of our universe: dark energy, dark matter and inflation. All three of these concepts reach beyond the known boundaries of the Standard Model of particle physics.Salman Habib, Principal Investigator, Argonne National Laboratory, with Los Alamos National Laboratory and Lawrence Berkeley National Laboratory. Exascale Deep Learning and Simulation Enabled Precision Medicine for Cancer focuses on building a scalable deep neural network code called the CANcer Distributed Learning Environment (CANDLE) that addresses three top challenges of the National Cancer Institute: understanding the molecular basis of key protein interactions, developing predictive models for drug response and automating the analysis and extraction of information from millions of cancer patient records to determine optimal cancer treatment strategies.Rick Stevens, Principal Investigator, Argonne National Laboratory, with Los Alamos National Laboratory, Lawrence Livermore National Laboratory, Oak Ridge National Laboratory and the National Cancer Institute. Multiscale Coupled Urban Systems will create an integrated modeling framework comprising data curation, analytics, modeling and simulation components that will equip city designers, planners and managers to scientifically develop and evaluate solutions to issues that affect cities now and in the future. The framework will focus first on integrating urban atmosphere and infrastructure heat exchange and air flow; building energy demand at district or city-scale, generation and use; urban dynamics and socioeconomic models; population mobility and transportation; and hooks to expand to include energy systems (biofuels, electricity and natural gas) and water resources.Charlie Catlett, Principal Investigator, Argonne National Laboratory, with Lawrence Berkeley National Laboratory, National Renewable Energy Laboratory, Oak Ridge National Laboratory and Pacific Northwest National Laboratory. Scientists have recently reengineered a building block of a nanocompartment that occurs naturally in bacteria, greatly expanding the potential of nanocompartments to serve as custom-made chemical factories. 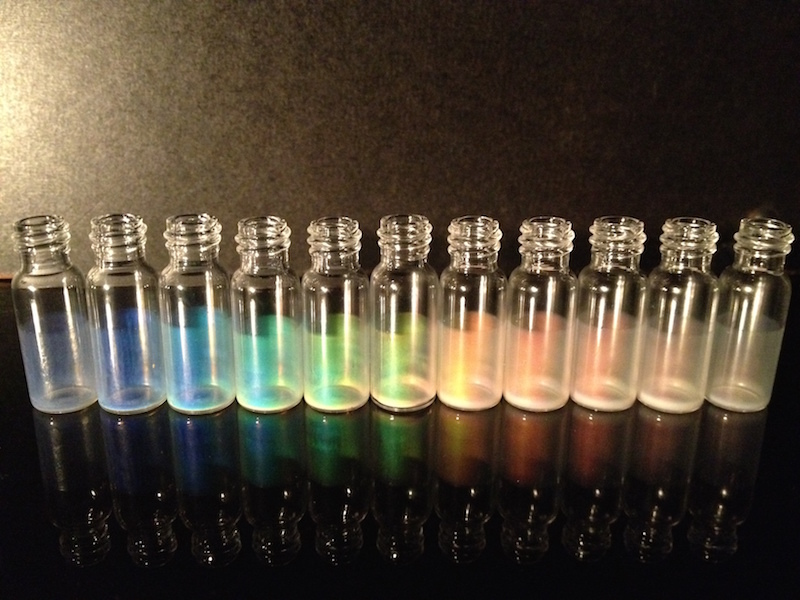 Researchers hope to tailor this new use to produce high-value chemical products, such as medicines, on demand. Researchers have discovered a family of nature-inspired polymers that, when placed in water, spontaneously assemble into hollow crystalline nanotubes. What’s more, the nanotubes can be tuned to all have the same diameter of between five and ten nanometers. Controlling the diameter of nanotubes, and the chemical groups exposed in their interior, enables scientists to control what goes through. 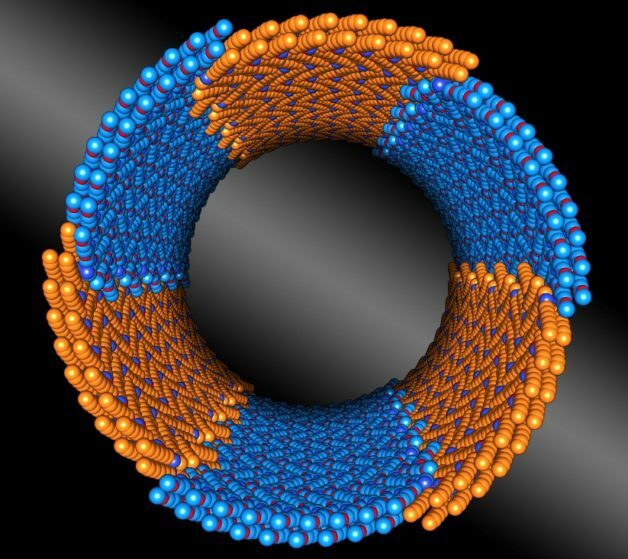 Nanotubes have the potential to be incredibly useful, from delivering cancer-fighting drugs inside cells to desalinating seawater. California is committed to 33 percent energy from renewable resources by 2020. With that deadline fast approaching, researchers across the state are busy exploring options. Solar energy is attractive but for widespread adoption, it requires transformation into a storable form. This week in ACS Central Science, researchers report that nanowires made from multiple metal oxides could put solar ahead in this race. One way to harness solar power for broader use is through photoelectrochemical (PEC) water splitting that provides hydrogen for fuel cells. Many materials that can perform the reaction exist, but most of these candidates suffer from issues, ranging from efficiency to stability and cost. Peidong Yang and colleagues designed a system where nanowires from one of the most commonly used materials (TiO2) acts as a “host” for “guest” nanoparticles from another oxide called BiVO4. BiVO4 is a newly introduced material that is among the best ones for absorbing light and performing the water splitting reaction, but does not carry charge well while TiO2 is stable, cheap and an efficient charge carrier but does not absorb light well. Together with a unique studded nanowire architecture, the new system works better than either material alone. The authors state their approach can be used to improve the efficiencies of other photoconversion materials. We report the use of Ta:TiO2|BiVO4 as a photoanode for use in solar water splitting cells. This host−guest system makes use of the favorable band alignment between the two semiconductors. The nanowire architecture allows for simultaneously high light absorption and carrier collection for efficient solar water oxidation. Metal oxides that absorb visible light are attractive for use as photoanodes in photoelectrosynthetic cells. However, their performance is often limited by poor charge carrier transport. We show that this problem can be addressed by using separate materials for light absorption and carrier transport. Here, we report a Ta:TiO2|BiVO4 nanowire photoanode, in which BiVO4 acts as a visible light-absorber and Ta:TiO2 acts as a high surface area electron conductor. Electrochemical and spectroscopic measurements provide experimental evidence for the type II band alignment necessary for favorable electron transfer from BiVO4 to TiO2. The host–guest nanowire architecture presented here allows for simultaneously high light absorption and carrier collection efficiency, with an onset of anodic photocurrent near 0.2 V vs RHE, and a photocurrent density of 2.1 mA/cm2 at 1.23 V vs RHE. Using a solid state diffusion approach based on atomic layer deposition (ALD), we have previously demonstrated the ability to controllably and uniformly dope TiO2. (38) In this study we demonstrate a host–guest approach using Ta-doped TiO2 (Ta:TiO2) nanowires as a host and BiVO4 as a guest material. This host–guest nanowire architecture allows for simultaneously high light absorption and carrier collection efficiency, with an onset of anodic photocurrent near 0.2 V vs RHE, and a photocurrent of 2.1 mA/cm2 at 1.23 V vs RHE. We show that the synergistic effect of the host–guest structure results in higher performance than either pure TiO2 or BiVO4. We also experimentally demonstrate thermodynamically favorable band alignment between TiO2 and BiVO4 using spectroscopic and electrochemical methods, and study the band edge electronic structure of the TiO2 and BiVO4 using X-ray absorption and emission spectroscopies. Article adapted from a American Chemical Society news release. To Read the FULL release, please click on the link provided below. Publication: TiO2/BiVO4 Nanowire Heterostructure Photoanodes Based on Type II Band Alignment. Resasco, J et al. ACS Central Science (3 February, 2016): Click here to view. There are many different ways to make nano-materials but weaving, the oldest and most enduring method of making fabrics, has not been one of them – until now. An international collaboration led by scientists at the U.S. Department of Energy (DOE)’s Lawrence Berkeley National Laboratory (Berkeley Lab) and the University of California (UC) Berkeley, has woven the first three-dimensional covalent organic frameworks (COFs) from helical organic threads. The woven COFs display significant advantages in structural flexibility, resiliency and reversibility over previous COFs – materials that are highly prized for their potential to capture and store carbon dioxide then convert it into valuable chemical products. “We have taken the art of weaving into the atomic and molecular level, giving us a powerful new way of manipulating matter with incredible precision in order to achieve unique and valuable mechanical properties,” says Omar Yaghi, a chemist who holds joint appointments with Berkeley Lab’s Materials Sciences Division and UC Berkeley’s Chemistry Department, and is the co-director of the Kavli Energy NanoScience Institute (Kavli-ENSI). Yaghi is the corresponding author of a paper in Science reporting this new technique. The paper is titled “Weaving of organic threads into a crystalline covalent organic framework.” The lead authors are Yuzhong Liu, Yanhang Ma and Yingbo Zhao. 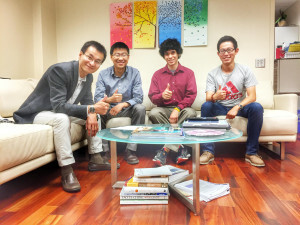 Other co-authors are Xixi Sun, Felipe Gándara, Hiroyasu Furukawa, Zheng Liu, Hanyu Zhu, Chenhui Zhu, Kazutomo Suenaga, Peter Oleynikov, Ahmad Alshammari, Xiang Zhang and Osamu Terasaki. 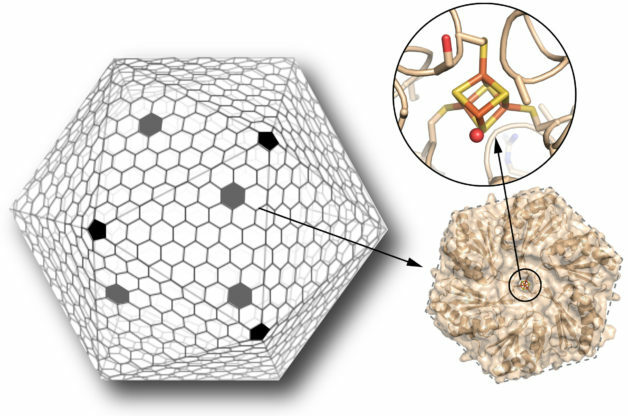 Through another technique developed by Yaghi, called “reticular chemistry,” these frameworks can also be embedded with catalysts to carry out desired functions: for example, reducing carbon dioxide into carbon monoxide, which serves as a primary building block for a wide range of chemical products including fuels, pharmaceuticals and plastics. In this latest study, Yaghi and his collaborators used a copper(I) complex as a template for bringing threads of the organic compound “phenanthroline” into a woven pattern to produce an immine-based framework they dubbed COF-505. Through X-ray and electron diffraction characterizations, the researchers discovered that the copper(I) ions can be reversibly removed or restored to COF-505 without changing its woven structure. Demetalation of the COF resulted in a tenfold increase in its elasticity and remetalation restored the COF to its original stiffness. 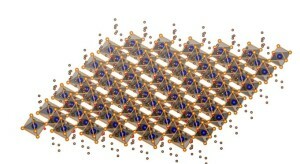 Researchers at the U.S. Department of Energy (DOE)’s Lawrence Berkeley National Laboratory (Berkeley Lab) have successfully grown atomically thin 2D sheets of organic-inorganic hybrid perovskites from solution. The ultrathin sheets are of high quality, large in area, and square-shaped. They also exhibited efficient photoluminescence, color-tunability, and a unique structural relaxation not found in covalent semiconductor sheets. Yang, who also holds appointments with the University of California (UC) Berkeley and is a co-director of the Kavli Energy NanoScience Institute (Kavli-ENSI), is the corresponding author of a paper describing this research in the journal Science. The paper is titled “Atomically thin two-dimensional organic-inorganic hybrid perovskites.” The lead authors are Letian Dou, Andrew Wong and Yi Yu, all members of Yang’s research group. Other authors are Minliang Lai, Nikolay Kornienko, Samuel Eaton, Anthony Fu, Connor Bischak, Jie Ma, Tina Ding, Naomi Ginsberg, Lin-Wang Wang and Paul Alivisatos. Traditional perovskites are typically metal-oxide materials that display a wide range of fascinating electromagnetic properties, including ferroelectricity and piezoelectricity, superconductivity and colossal magnetoresistance. In the past couple of years, organic-inorganic hybrid perovskites have been solution-processed into thin films or bulk crystals for photovoltaic devices that have reached a 20-percent power conversion efficiency. Separating these hybrid materials into individual, free-standing 2D sheets through such techniques as spin-coating, chemical vapor deposition, and mechanical exfoliation has met with limited success. In 1994, while a PhD student at Harvard University, Yang proposed a method for preparing 2D hybrid perovskite nanostructures and tuning their electronic properties but never acted upon it. This past year, while preparing to move his office, he came upon the proposal and passed it on to co-lead author Dou, a post-doctoral student in his research group. 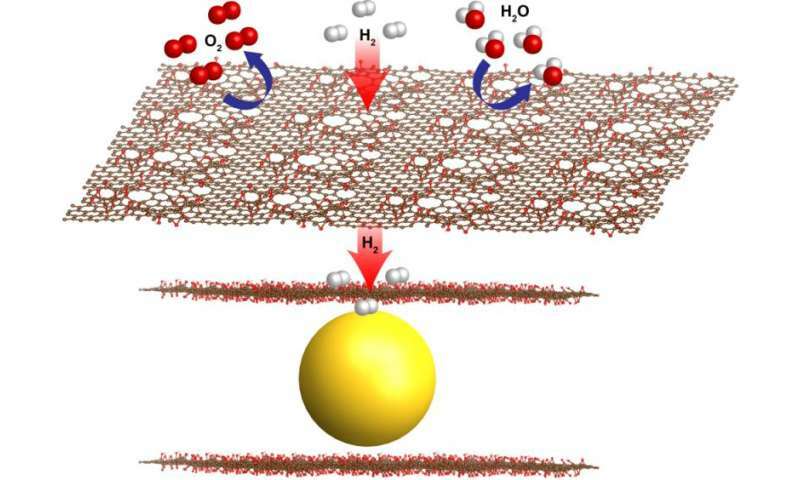 Dou, working mainly with the other lead authors Wong and Yu, used Yang’s proposal to synthesize free-standing 2D sheets of CH3NH3PbI3, a hybrid perovskite made from a blend of lead, bromine, nitrogen, carbon and hydrogen atoms. 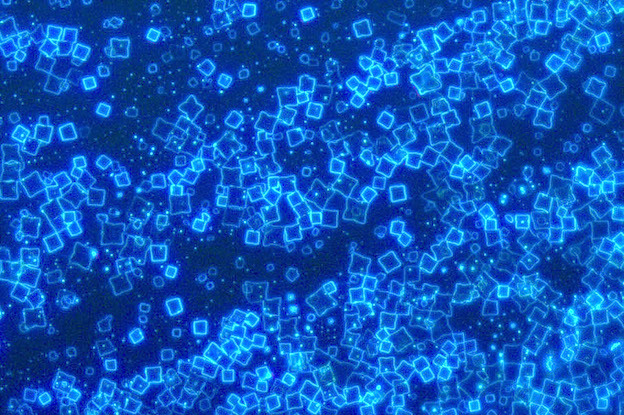 The well-defined geometry of these square-shaped 2D crystals is the mark of high quality crystallinity, and their large size should facilitate their integration into future devices. This research was supported by DOE’s Office of Science. 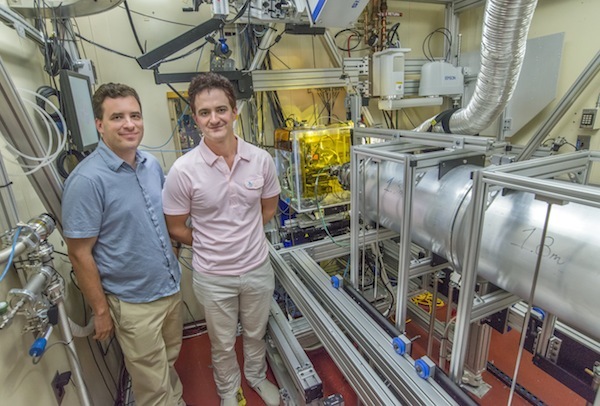 The characterization work was carried out at the Molecular Foundry’s National Center for Electron Microscopy, and at beamline 7.3.3 of the Advanced Light Source. Both the Molecular Foundry and the Advanced Light Source are DOE Office of Science User Facilities hosted at Berkeley Lab. Adam Weber and Jeffrey Urban at ALS SAXS/WAXS Beamline 7.3.3. New projects for hydrogen storage and fuel cell performance aim to bring down cost of fuel cell electric vehicles. With commitments from leading car and stationary-power manufacturers to hydrogen and fuel cell technologies and the first ever fuel cell electric vehicle to go on sale later this year, interest is once again swelling in this carbon-free technology. Now, thanks to several new projects from the U.S. Department of Energy’s (DOE) Fuel Cell Technologies Office, scientists from Lawrence Berkeley National Laboratory (Berkeley Lab) will have an important role in accelerating innovation and commercialization of hydrogen and fuel cell technologies. Berkeley Lab has been awarded $8 million for two new DOE research efforts, one to find new materials for hydrogen storage and another for optimizing fuel-cell performance and durability. In addition, Berkeley Lab is leading a range of other hydrogen and fuel cell research projects aimed at developing next-generation fuel cell and related energy-conversion technologies. Fuel cells are considered one of the most promising and fast-growing clean energy technologies. In 2014, about 50,000 fuel cell units were shipped worldwide, with a nearly 30 percent market growth every year since 2010. This year, Toyota’s Mirai will be the first fuel cell electric vehicle (FCEV) to be commercially available for sale in the U.S. Still, cost remains one of the biggest challenges to wider adoption. The Fuel Cell—Consortium for Performance and Durability (FC-PAD) is led by Los Alamos National Laboratory and includes Argonne National Laboratory, Oak Ridge National Laboratory, and the National Renewable Energy Laboratory, with Weber serving as the consortium’s deputy director. Its goal is to improve and optimize polymer electrolyte membrane (PEM) fuel cells, which are used primarily for transportation, while reducing their cost. “If we can make individual cells more durable and perform better with less costly components or fewer of them, than you would drive down the cost of the vehicle,” Weber said. Specifically one research focus of Weber’s work for FC-PAD will be trying to understand and optimize mass transport in the fuel cell, or the transport of reactants and products, such as hydrogen, oxygen, and water. Mass-transport issues can limit fuel-cell performance. “One of our core competences at Berkeley Lab is in mathematical modeling and advanced diagnostics, which we can use to study, explore, and describe the transport phenomena across length scales from the microstructural to macroscopic levels,” he said. Like batteries, fuel cells use a chemical reaction to produce electricity. However fuel cells don’t need to be recharged; rather, they will produce electricity as long as fuel is supplied. In the case of a hydrogen fuel cell, hydrogen is the fuel, and it’s stored in a tank connected to the fuel cell. Safe and cost-effective hydrogen storage is another challenge for FCEVs, one that the other DOE consortium, Hydrogen Materials—Advanced Research Consortium (HyMARC), seeks to address. HyMARC is led by Sandia National Laboratories and also includes Lawrence Livermore National Laboratory. Researchers have two goals for hydrogen storage—greater storage density at lower pressure. Greater density will allow for greater vehicle driving range while lower pressure improves safety as well as efficiency. Both of these consortiums are funded by DOE’s Fuel Cell Technologies Office, part of the Office of Energy Efficiency and Renewable Energy, and follow a similar model, where the core team consisting of the national labs will serve as a resource to industry and later also collaborate on innovative projects with universities and companies. Another research focus is in catalysts, the subject of a collaboration between Berkeley Lab materials scientist Peidong Yang and scientists at Argonne National Laboratory. Last year they reported discovery of a new class of bimetallic nanoframe catalysts using platinum and nickel that are significantly more efficient and far less expensive than the best platinum catalysts used in today’s fuel cells. Finally Berkeley Lab last month joined several other national labs as well as dozens of companies and other institutions in signing onto H2USA, a public-private partnership whose mission is “is to address hurdles to establishing hydrogen fueling infrastructure, enabling the large scale adoption of fuel cell electric vehicles.” Infrastructure is one of the critical challenges to wider hydrogen technology adoption, and one in which California has made a strong commitment.